When Hallie Ephron was ten years old, living in Beverly Hills with her screenwriter parents and three sisters, an extraordinary event in her own community seized her imagination: Cheryl Crane, the 14-year-old daughter of Lana Turner, stabbed her mother’s lover, Johnny Stompanato, to death. 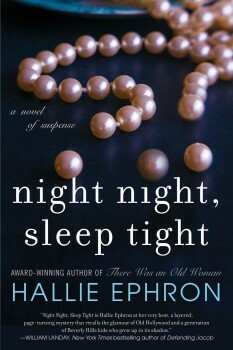 Young Hallie devoured all the information she could find about the case—“My parents never censored our reading; they just encouraged us to read and ask questions,” she said in a recent interview—and decades later it became the starting point for NIGHT NIGHT, SLEEP TIGHT, a thriller coming out this month. NIGHT NIGHT, set in 1986, isn’t a retelling of the Cheryl Crane story, but a similar murder figures prominently in the background of main character Deirdre Unger. When Deirdre arrives in Beverly Hills to help her father sell his dilapidated house, she finds him dead in the swimming pool. At first, his death appears accidental, but soon the police are calling it murder—and Deirdre is a prime suspect. In search of the truth, Deirdre follows threads that lead back to 1958, when her best friend, Joelen Nichol, confessed to killing her movie-star mother’s boyfriend. Deirdre was in the Nichol house that night, and suffered a personal tragedy in the aftermath of the murder. The more she digs into the past, the more she suspects those distant events are related to her screenwriter father’s death. 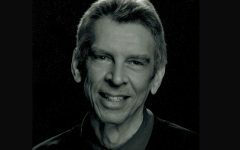 Between that first effort and NIGHT NIGHT, Hallie co-authored five Dr. Peter Zak thrillers with Donald Davidoff under the pen name G.H. 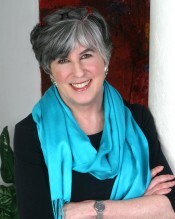 Ephron, and published three acclaimed standalone suspense novels and several books about writing and reading. She also reviews crime fiction for The Boston Globe. Ms. Ephron made a splash with her first suspense standalone, Never Tell a Lie. In a starred review, Publishers Weekly called it “stunning” and a “deliciously creepy tale of obsession.” USA Today: “You can imagine Hitchcock curling up with this one.” It was adapted for film as “And Baby Will Fall” for the Lifetime Movie Network. She followed up with Come and Find Me, a story about a reclusive woman who thinks she’s found safety retreating behind locked doors and living on the Internet. 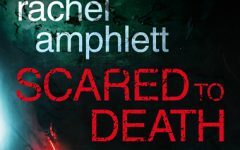 When her sister disappears she has to brave the real world. All three of Ms. Ephron’s suspense standalones were honored as finalists for the Mary Higgins Clark Award. Sarah Weinman named There Was an old Woman one of her “Top 10? for 2013. Ms. Ephron lives near Boston. To learn more, please visit her website.